The BHP454 has been Makita's top dog hammer drill for a while now, but it roots are based on a design that is many years old. Makita has come out with newer drills since the BHP454 but none have come close to its power. It looks like the Makita LXPH03 is the hammer drill that will finally replace the popular BHP454 and it has some impressive stats. 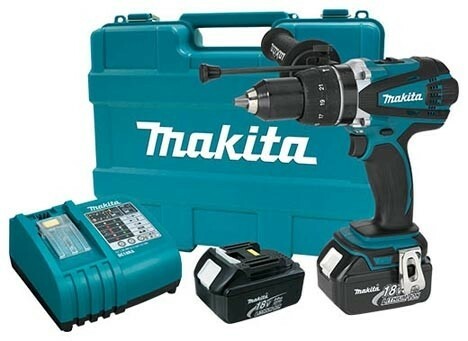 Though the drill is not brushless, it is listed as having 750 in. lbs of torque, which is even more than the new Milwaukee Brushless. I guess Makita doesn't need Brushless technology to make a better tool. 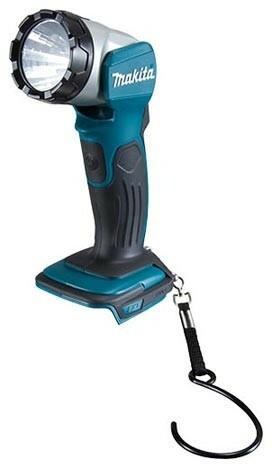 Makita also has made some welcomed improvements to their LED flashlight in the new LXLM04. The most notable improvement is to the 12 position head which is now made out of aluminum to offer increased durability. The new LXLM04 boasts up to 13 hours of continuous run time on a single charge and outputs 200 lumens of light. A metal hook has also been provided and allows the light to be used over head. 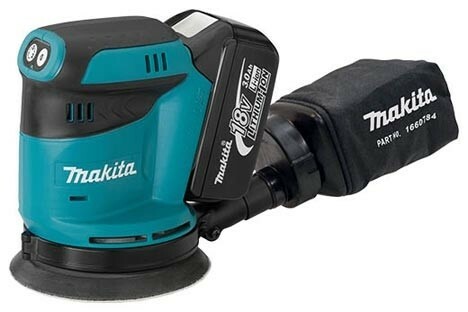 The surprising new tool is the Makita LXOB01 Cordless Random Orbital Sander. Even though it is cordless and requires an on-board battery, it looks surprisingly compact. There are three speed settings to choose from, 7000, 9500 and 11000 OPM with the lowest speed delivering a runtime up to 40 minutes and the high speed delivering up to 20 minutes.